Where the president came from. West of Austin and north of San Antonio is a small pocket of Texas, once drenched with the blood of dissenters. It isn’t the enlightened North, or the old South, or the new West. It’s the Texas Hill Country of Lyndon Baines Johnson. After the devastation of the Napoleonic Wars, Germany was wracked by economic unrest. Riots by college students, then open revolt by the masses—all brutally suppressed by the Crown—prefaced a wave of German immigration to Texas which included school teachers, musicians, doctors, lawyers, intellectuals and skilled craftsmen. The Germans worked hard, minded their own business; the Indians tended to trust them more than they did the Anglo-American. They opposed slavery and refused to repudiate their oath of loyalty to the United States of America when Texas joined the Confederacy: in Gillespie County, where the President was born, the vote was 398 to 16 against secession. Brigadier General Hamilton P. Bee, whose brother immortalized Jackson with the name “Stonewall,” appointed James Duff Provost Marshal for the Western Sub-District of Texas. It was Duff’s job to impose martial law and keep the Germans in line, since many had refused to volunteer for the Confederate Army, or even honor the draft. Court-martialed for deserting the US Army, Duff was known as “The Rebel Butcher of Southwest Texas.” He murdered German immigrants and burned their homes. Resentment against the Germans lingered for years. Not long before World War I, my great-uncle, Congressman James Slayden, appointed a “German boy” from the Hill Country to the US Naval Academy. Although the young man had won a competitive examination, it was whispered in polite San Antonio circles that the Congressman had made a mistake. How could a “German” amount to anything as an officer in the US Navy? Chester Nimitz, however, turned out to be a better-than-average sailor. 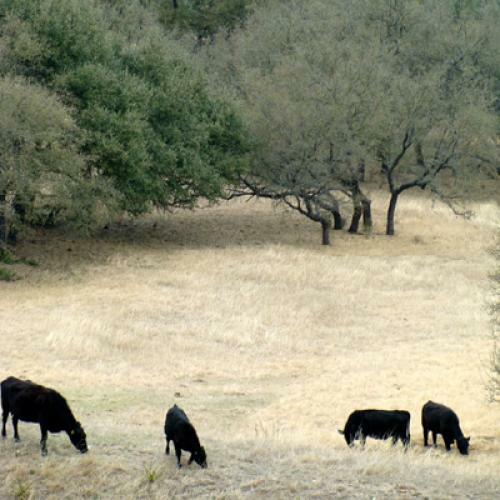 The President’s ranch is on the Pedernales River. Upstream a few miles stands another monument to non-conformists. Here the village of Zodiac was built in 1847 around a temple, a general store, a school, a cabinet shop and a gristmill. The whole community held title to everything exceeding the actual needs of the individual. The members of this commune belonged to an offshoot of the Church of Latter Day Saints of Jesus Christ. Following Joseph Smith’s murder in 1844, Brigham Young and Lyman Wright each contended that he was Smith’s successor. Both were members of “The Quorum of Twelve,” the governing body of the Mormon Church. Young set out for Salt Lake Valley. Wright, with 150 men, women and children, floated down the Mississippi River, eventually establishing the small community of Zodiac. Others got protection from Indian attacks, but not the “strange” Mormons who wrote to the Indian agent in San Antonio: “….It seems very curious to us that troops are raised and sent 500 or 600 miles from where an Indian ever roamed and leave our frontiers without protection…Who has lost horses in the White Mountains? It must be the Rangers if anybody as they are the only ones in all probability that was ever there…While Congress is spending six or eight months to find out whether it is best to reinforce the Army or not, the Indians are killing men, women and children and driving off large quantities of stock and nothing to hinder…We make this one more appeal.” A majority of the Texas Mormons returned to the North or fled to California and Mexico at the outbreak of the Civil War. In this arid country gnarled oaks fight their way toward a boiling sun. This is LBJ’s favorite spot, and to this part of Texas he helped to bring in electric cooperatives, dams and soil-saving measures. Here, in the Johnson Hill Country, men opposed slavery, stood up for the Union alongside of Sam Houston, practiced a “non-conforming” religion and told the authorities to go to hell. This article appeared in the March 14, 1964 issue of the magazine. Photo credit Wikimedia Commons.